With enormous experience in this domain, we have established ourselves as the recognized manufacturer, exporter and supplier of an excellent quality Acrylic Bathtub. Top notch quality ceramic and upgraded technologies are employed by our ingenious professionals in order to manufacture this bathtub in accordance with current trends of the industry. Further, well-known for its attractive design and enchanting look, this bathtub is high in demand among our clients. 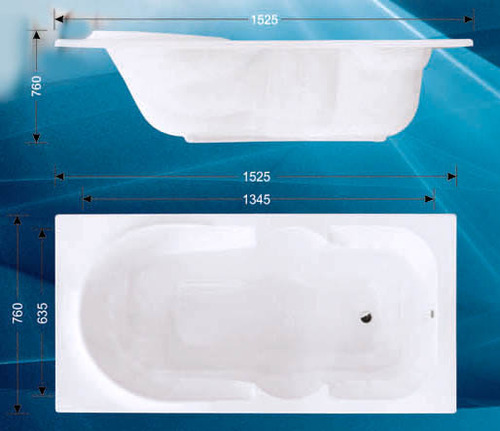 Incepted in the year 2005, in Morvi (Gujarat, India), we Corona Acrylic Industries have gained recognition as a leading manufacturer, exporter and supplier of excellent quality assortment of Acrylic Bathtubs and Bathtub Accessories. We use modern tools, cutting-edge technology and optimum grade raw material in the manufacturing processes of these products to ensure their conformity with the international standards. In addition to this, we are also specialized in offering these products in customized options as per the exact requirements of our customers. Offered array of products are highly appreciated by our clients due to their features like perfect finish, durability, optimum quality and easy installation. Our cherished clients can avail these products from us at market leading prices. We export our product to Indian Subcontinent.